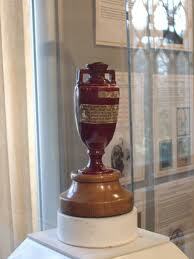 The Ashes is upon us again. “Wait,” we hear you cry. “Didn’t Australia and England just play a tournament this summer, and isn’t this contest meant to occur in the respective countries once every two years?” The answer is “yes” to both questions. This time, however, the wise gentlefolk who schedule cricket competitions have decided that in order to provide nations with time to prepare for cricket’s World Cup (in 2015), the Test matches and one-day games that Australia will play against England in Australia should occur from November 2013 to February 2014 and not a year later. The result is that cricket’s marquee competition has not been more squeezed since the earl of Sandwich had an idea what to do with his extra slices of bread. England managed to beat Australia 3–0 this summer in England, in spite of the fact that the hosts played below par. In fact, so indifferently did the team play that it would be more accurate to say that Australia threw it away: the Baggy Greens (as the Aussies are known after the shape and color of the caps they wear) lost crucial moments in each match and failed to take advantage of those when England were on the rack. Coming into the series, Australia are on the upswing and England—in spite of being placed two above their competitors in the Test world rankings—look vulnerable. A lot depends on how fit each side’s bowling department is, and whether Stuart Broad or Mitchell Johnson for England and Australia respectively can be their destructive best. Whatever the situation, it’s not likely to be pretty. The wise money is holding bets until the first few days of the first Test (which begins on Thursday) have played themselves out. This entry was posted in Australia, Cricket, England and tagged Mitchell Johnson, Stuart Broad, The Ashes. Bookmark the permalink.